In another article on property development financing I talk about the difference between your current knowledge of real estate financing for buying property as an investment and just touched on real estate development financing. Now For A Bit More Depth! In development financing you are not just applying to buy land, you are requesting finance to purchase the land, as well as all the construction and development costs of the whole project. Beginners in the property development business always seem to buy the land first. It's seems logical to them (their first mistake) and then use traditional mortgage financing to settle the purchase (the second mistake). Not a good way to start of a development career. When in fact they should be following an entirely different path. What's Development "Really" All About? 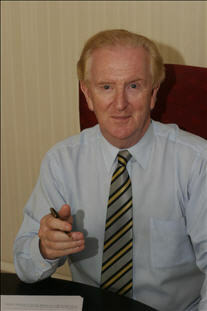 Development of land is all about the site's capacity. I like to use the analogy of the farmer. A farmer talks about his land yielding so many tons per acre. Well, a developer talks about the same thing, only s/he want to know how many units/apartments/condos/flats they can put on their land. There is a process in property development financing you have to follow to determine how many units/apartments/condos/flats you can grow on your land, which is what I teach. And that process finally allows you to determine if you have a financially viable development. Trained property developers can do all this investigation work with minimal cost and time and then proceed to lodging a Development Application, so that they know, before committing to buying the land, that their development will be allowed to be constructed by the local authority. In addition trained property developers know about how property development financing works and how they should go about getting it ... again before committing to buying the land. So you see there is a lot more to the property development business than at first appears. I like to teach people How To Do It The Right Way The First Time which is how I was taught $1.2 Billion worth of developments ago. I had to briefly touch on the process for a moment to make sense of the end result, which is the topic we are talking about. It might be a good idea to also read about the how finance institutions work so you can get a better handle on what I am teaching you here. Property development financing is carried out by a wide range of financial institutions, (lenders) but as I explain elsewhere they have a wide range of finance products to sell. You must understand that lenders are like supermarkets for money, only each product or range of money products, has a different sales person, with sales and profit targets. So if you walk in to a lender's office and start talking about buying land and as you are new to the property development business, you don't emphasize the development aspect of your plans, you will be sold the wrong finance product ... very costly in both time and money. The next thing to realize is that the "worst" thing you can do is think that because you know someone who works in the lender's office ... yes, that includes the Bank Manager, you'll be looked after in some special way. When it comes to 'lending money' all people who work for a lender are functionaries and information gatherers ... that's it. So forget your "special relationship" - you don't have one. To a lender you are a CRA (SORRY; but true) that's a Credit Risk Assessment and they can determine that by the flick of a switch online. All decisions on lending are made by a centralized Credit Department, so you friend Bill or Joan at the bank, no matter how willing they are to help you, are powerless to influence a lending decision. Remember I said elsewhere that lenders (like you) hate 'risk.' Well many years ago they believed that leaving lending decisions at the branch level was to much of a risk, due to those personal relationships. Hence the CENTRALIZED CREDIT DEPARTMENT, OK? First of all, before you start buying land, you invest some time and money in learning the business so you don't make a large number of fundamental mistakes by starting off on the wrong foot. Understand that an approach to a financial institution for real estate development financing is a planned, organized event, with you in charge of the Agenda. There is no 'guess work' here - you have put in time and money to get to this stage. You not only know the correct department to deal with, you know their lending policies (in detail) you know the person who will handle your application and Numero Uno your application is professionally prepared by you so that real property development financing is prepared based on the individual lenders' current policies. If you saw what some people submit to a lender seeking finance for property development, you would run and hide you face in shame. So when you application is lodged for property development financing, it must be prepared based on the individual lenders' current policies. My Development Finance Application format gives each lender the exact amount of information they require to make a prompt decision and nothing more. If you saw what some people submit to a lender seeking finance, you would run and hide you face in shame. 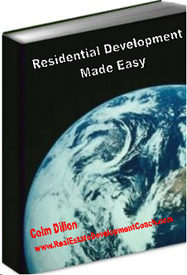 Author of "Residential Property Development Made Easy"